We're happy that you've chosen to continue receiving our occasional mail-outs. With exploration activity remaining subdued, this newsletter concentrates on the inspection of existing subsea infrastructure. We present some solutions for asset integrity and deterioration monitoring, which can guide a targeted and efficient repair and maintenance programme. The OceanSENSE subsea leak and cement dye detection systems are field-proven on hundreds of offshore jobs. We are pleased to announce a new ROV-mounted variant (pictured) that is depth rated to 6000m. OceanSENSE can detect a range of oil and other hydrocarbon leaks from subsea infrastructure and cement dye during cementing operations. Detection can be carried out at a safe working distance, and the ROV's lights do not have to be turned off. "OceanSENSE is like a sonar for leaks - guiding you in when the visual indication of a leak is outwith the range or reach of a camera." With a global rental pool of over 70 systems, locally based OceanSENSE units are available for hire in all major oil producing regions. 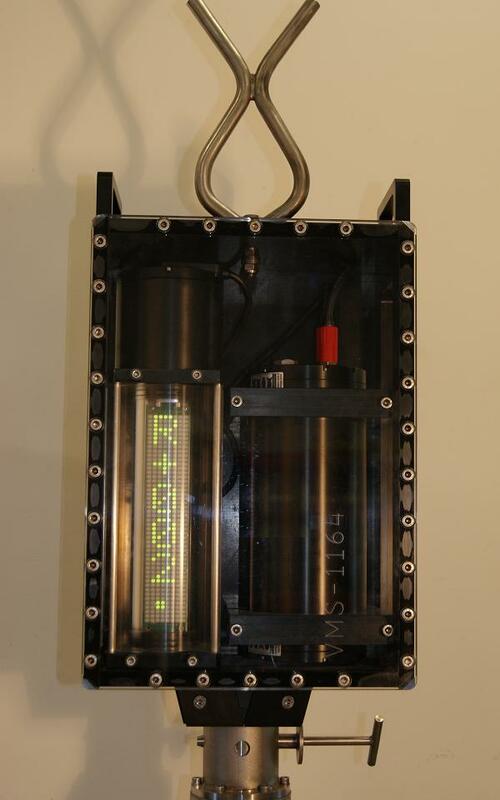 The newly developed OceanCELL-38 38Ah subsea battery pack has proved to be very popular with our customers. Some fifteen units were sold in the first few weeks of its introduction. As well as standard 12Ah or 38Ah battery packs, custom battery packs may be designed to a client's precise specifications. A number of battery packs were recently delivered with our C-Switch underwater switch, to control a bank of subsea marking lasers in the North Sea region. 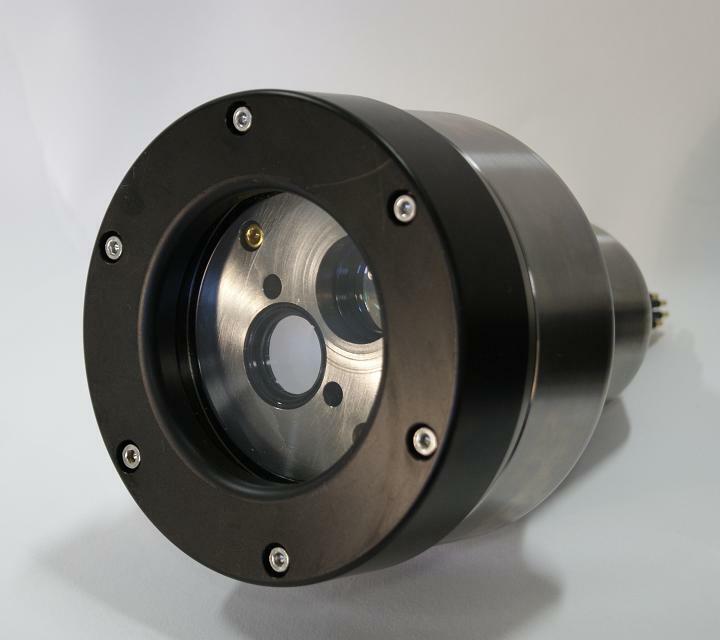 The very compact battery can power the lasers for 12 hours continuously, and the switch ensures safe laser operation by reliably isolating the power both on deck and subsea. The C-Gauge underwater laser-based measurement system is suited to a range of inspection tasks where high-precision measurement is required. The highly compact and rugged package comprises C-Laser, laser detector and deployment frame designed to fit onto the smallest of ROV systems, with a video link to the analysis software package at the surface. The C-Gauge system allows detailed measurement and inspection of pipelines and other subsea infrastructure. Applications include pipeline crack, gap and ovality inspection, with precise point to point distance, diameter, radial and angular measurements. 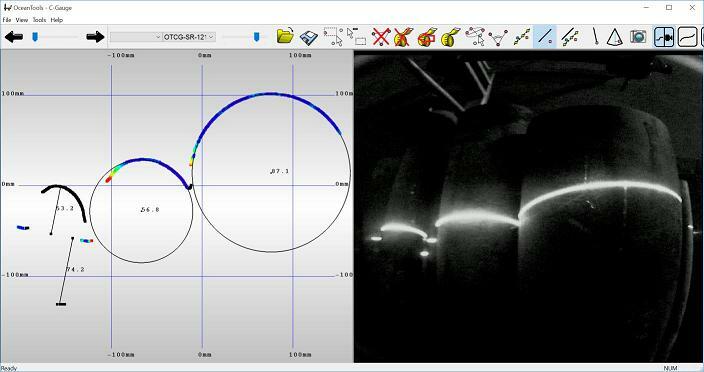 C-Gauge laser measurement technology can inspect for signs of anode depletion, estimating the remaining life of subsea cathodic protection systems. As an integral tool for subsea structural inspection programmes, the system can quickly and accurately measure the dimensions and depletion of sacrificial anodes due to saltwater corrosion; a key concern for offshore asset management and integrity assurance operators. A large E&P operator wanted to monitor bearing block wear on a North Sea FPSO turret as part of their major asset integrity programme. C-Gauge was deployed on a small ROV to take accurate dimensional measurements remotely from various angles. The results from two identical procedures performed one year apart were captured and analysed to measure the rate of deterioration of the critical asset and design an efficient repair and maintenance programme. The VMS represents the latest evolution of OceanTools subsea verticality survey packages. Each system is an integrated solution consisting of market-leading equipment, innovatively packaged for easy deployment and recovery by ROV. The VMS-2 provides pitch and roll information from an OceanTILT precision inclinometer. The VMS-5 provides survey grade heading, pitch, roll, azimuth and angle information from an OceanFOG North Seeking Gyro. Both variants are integrated solutions incorporating a vertical scrolling subsea display and re-chargeable OceanCELL battery pack. The low profile design is ideal for passing through the Texas Deck for oil well verticality surveys, wind farm installation or piling. Robust mounting features include a fish tail handle and delta mounting bracket or a precision engineered metrology stab. PSO will be exhibiting at ONS 2016 in Stavanger, Norway. The exhibition runs from 29 August to 1 September, and PSO will be available to discuss the OceanTools product range. Find them at stand 909 in hall 9.